Why you need quality dental care at every stage. Teeth are a unique part of the body. You only get one set of bones, one set of organs, eyes, nose, hands, etc. But teeth arrive (usually) after your are born, later fall out, and are replaced with an adult set. Most of us don’t give it much thought but this strange process is necessary and important for ensuring that we have a healthy adult set of teeth for eating and smiling. Let’s take a look at this fascinating developmental process and the importance of excellent dental care at every step of the way. While a fetus’s teeth begin to form after just six weeks from conception, newborns are born with an empty mouth of pink gums. Around two to three months babies’ begin teething–a painful process that can cause a lot of crying–and at around four months the first tooth pokes through the gums. We all know that this first set of twenty teeth are not destined to last long–after a few years they will fall out and be replaced. This may lead us to think that taking care of baby teeth is not all that important, since they are just going to fall out anyway! It’s important to know that baby teeth aren’t just disposable chompers to be replaced with adult teeth. They also serve the very critical purpose of creating space in the mouth for when the adult teeth grow in. If the teeth aren’t given proper care and fall out early, then there may not be enough space for the adult teeth to grow in and a retainer may be required to create additional room. 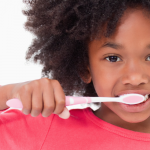 To avoid this problem, make sure you obtain quality dental care for your children from an early age. Eventually, those baby teeth need to budge to allow the adult teeth to come in. As the adult teeth develop they put pressure on the roots of the baby teeth, and the roots break down and reabsorb into the gums. This is why the baby teeth become loose–there is no root holding it in place any more. Most of the time baby teeth fall out on their own and the adult appear to take their place without an issue. 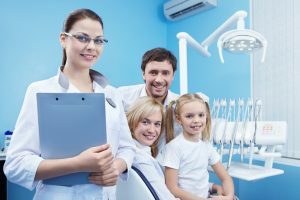 However, occasionally there may be complications such as when a baby tooth does not loosen and the adult tooth pushes its way up anyway or an adult tooth may simply not make an appearance. 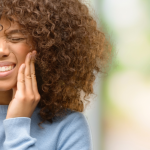 Regular dental visits will allow these problems to be caught and addressed early to prevent further complications down the road. Wisdom teeth are the third row of molars. While it is believed that they were once evolutionarily beneficial, the modern jaw usually does not have space for this final set. This can result in painful, impacted, and even infected teeth that are unable to find room to grow into. Many people need to have their wisdom teeth removed. 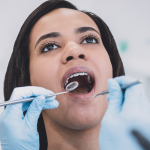 With regular dental care, your dentist will be able to determine before all the painful stuff begins, if you need to have your wisdom teeth removed. Like all parts of the body, teeth begin to wear down and weaken with age. Older teeth and gums become more vulnerable to a number of problems from tooth decay to gum disease and even tooth loss. However, if you take care of your teeth throughout each stage of the tooth life cycle and have quality dental care, then your teeth very well may last a lifetime. 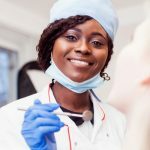 Get the expert, affordable dental care you need to maintain your smile today and for the rest of your life–contact Penn Dental Medicine today.